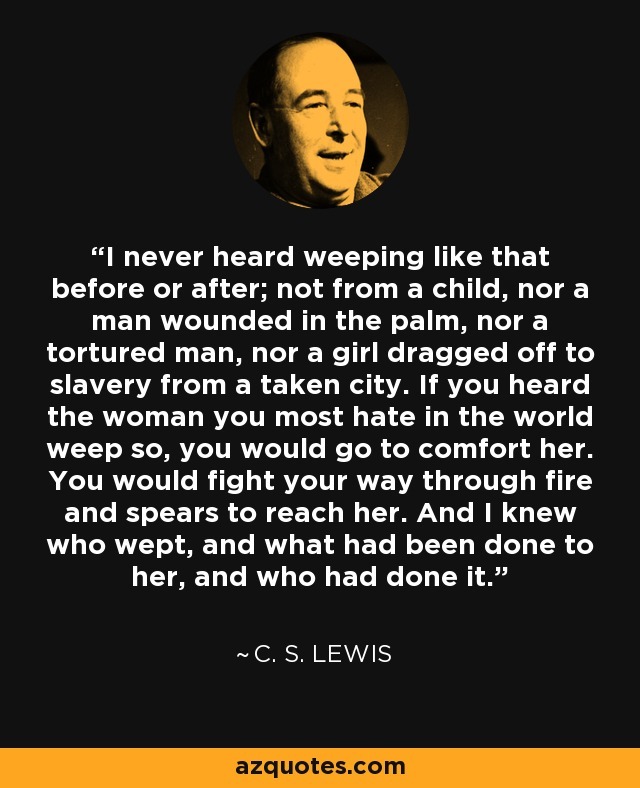 I never heard weeping like that before or after; not from a child, nor a man wounded in the palm, nor a tortured man, nor a girl dragged off to slavery from a taken city. If you heard the woman you most hate in the world weep so, you would go to comfort her. You would fight your way through fire and spears to reach her. And I knew who wept, and what had been done to her, and who had done it.